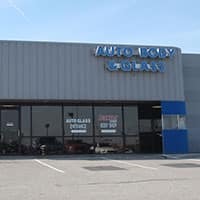 Whether it’s a minor dent or a major collision, Baxter Auto Body can restore your car to a flawless condition. And with three locations in Omaha and Lincoln, we’re never far away. 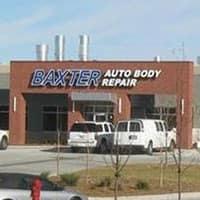 Baxter body shops have more than 100 production stalls and full details bays. We also have five spray booths, including one dedicated to large trucks and vans. And once your bodywork is complete, our climate-controlled bays help achieve a finish on your vehicle that looks like it’s straight from the factory. 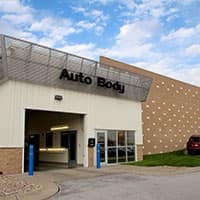 Computerized measuring equipment helps our technicians identify any irregularities to get your vehicle’s frame and body back to factory specifications. And if the collision doesn’t require structural repairs, we also have paintless dent removal and glass chip repair and replacement. Our painters are BASF-certified, and we only use BASF Glasurit® paint—recognized in the in automotive industry as a premium coating. Our blend of rich color, gloss and expertise will give your vehicle the depth and brilliance it had when it rolled off the line. BASF paint and all Baxter repairs are backed by a lifetime warranty. And any parts we install are covered by a limited manufacturer’s warranty.